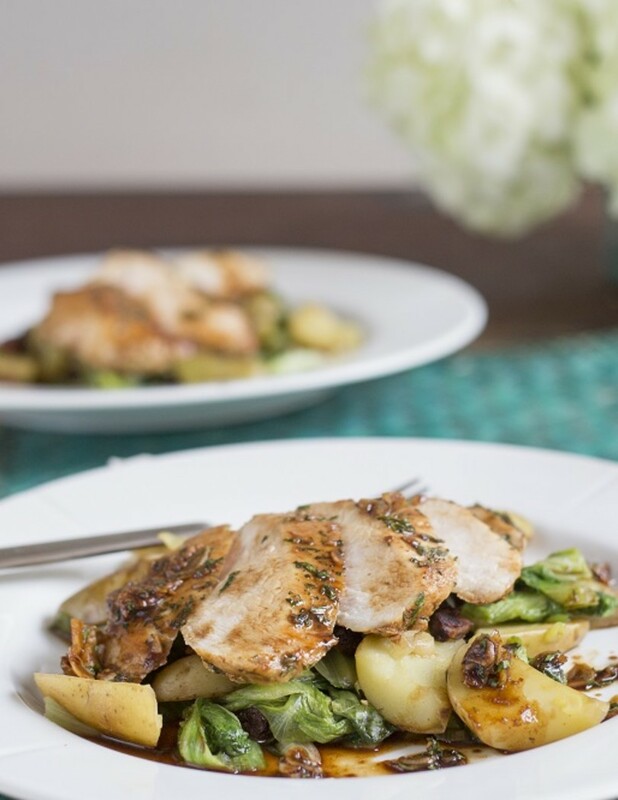 This seared chicken breast is given sweet-tart depth by a splash of balsamic vinegar. Bacon makes the perfect accessory, and the flavorful renderings left in the pan become transformed into a warm vinaigrette that's tossed with wilted lettuce leaves and potatoes for a pleasant twist on classic German potato salad. Suggested beer pairing Acidic Berliner Weisse It shouldn't be a surprise that Berliner Weisse was once the most popular beer in Berlin. In the 19th century, there were 50 breweries producing this style of beer in Berlin. By the twentieth century, there were only two. Simply put, the Berliner Weisse is a low-alcohol wheat beer “infected” with lactobacillus, the bacteria that sours milk, which makes for an interesting sweet and sour flavor combination. In Berlin, you will find they play up the sweet by adding a dose of raspberry syrup to the beer, turning it into a beer cocktail. The sour in a Berliner Weisse should be a complementary flavor to the acidic balsamic glazed chicken—consider Athena by Creature Comforts here. Suggested wine pairing Zinfandel, Sonoma County, CA The ripe jammy flavors of zinfandel help balance the sweet and sour notes of the balsamic glaze. It goes well with the richness of the potatoes and the mesquite notes of bacon. • Cut potatoes into bite-size pieces. 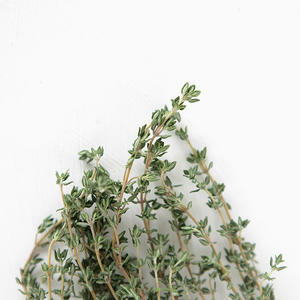 • Pick and chop thyme leaves; reserve stems. 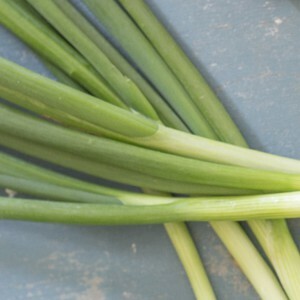 • Thinly slice green onion. 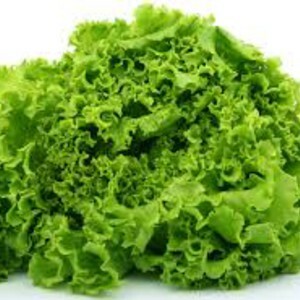 • Tear or cut lettuce into bite-size pieces. 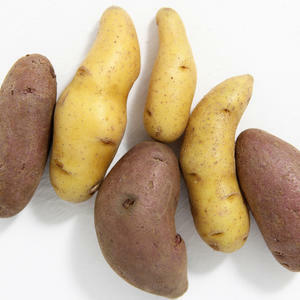 • In a saucepan, combine potatoes, thyme stems and enough water to cover. Place over high heat. • When water boils, reduce heat to medium-low. Cover, and simmer until potatoes are tender, 10-12 minutes. • Drain well. Discard thyme stems. • Season potatoes with 1/4 teaspoon PeachDish Salt. While potatoes cook, season chicken on all sides with chopped thyme and a total 1/4 teaspoon PeachDish Salt. • Add garlic. Reduce heat to low. Cook, stirring, until garlic begins to become translucent, about 1 minute. 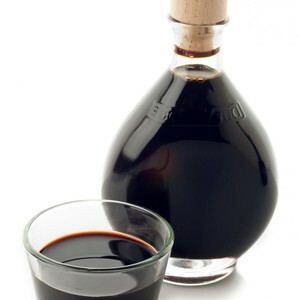 • Add balsamic vinegar. Cook, stirring, until vinegar thickens into a glaze, about 1 minute. 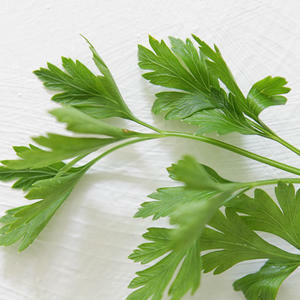 • Stir in parsley. Quickly transfer chicken and glaze to a small bowl. Cover bowl to keep warm. 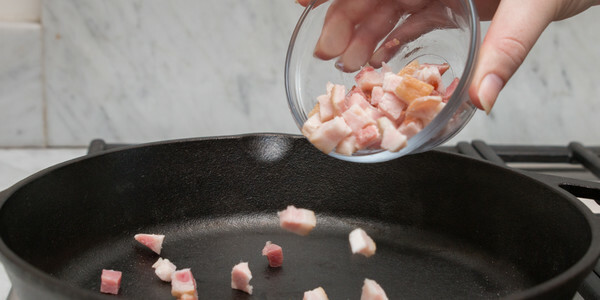 Add bacon to skillet. 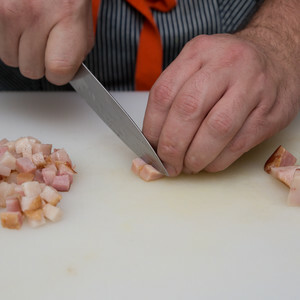 Cook, stirring, until bacon is lightly browned and crisp, 4-5 minutes. Increase heat to medium. Add potatoes. Cook without disturbing until lightly browned on bottom, 3-4 minutes. • Add green onion. Fold in lettuce. Cook until lettuce is just wilted, about 30 seconds. Remove from heat. • Stir in 1/4 teaspoon PeachDish Salt, cider vinegar and sugar. Taste and adjust seasoning as desired with PeachDish Salt. 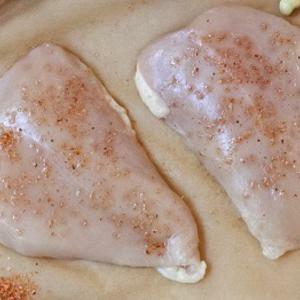 • Slice chicken against the grain. • Divide potatoes between 2 plates. • Top with chicken, and drizzle with balsamic glaze. Enjoy!